house, her school, her friends, and most of all her Dad who still lives there. It’s lucky that I’m a dietitian, as I’m well used to managing patients with coeliac disease and non-coeliac gluten sensitivity, but practically it can be tough to avoid gluten. Birthday parties are notoriously difficult to negotiate (what kid can’t resist a tiny bit of cake!). The availability of gluten free foods is a million times better than 10 years ago, but they can be expensive and often loaded with sugar. I like making as much of my family’s food as possible, and this bread is fab for her……….the flaxseed is brilliant for gut health and constipation, and the eggs and almonds provide terrific sources of protein. And very importantly, it’s so easy. If you are watching your carbohydrate intake, needing gluten free, or simply want a highly nutritious healthy bread, then I highly recommend this very easy ecipe. For anyone who has tried Irish wheaten bread, this has a very similar texture. 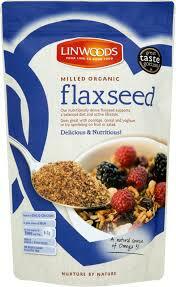 Flaxseeds for dietary fiber, manganese, vitamin B1, and omega-3 healthy fats. Almonds are a source of vitamin E, copper, magnesium, and high quality protein, fiber, and phytosterols. Eggs are a very good source of high quality protein, vitamin B2, selenium, B6, B12 and minerals such as zinc, iron and copper, fat soluble vitamins A, D, E and K.
There is about 1000 kcal, 54g protein, 5g carbs in the whole loaf. So if you cut 6 slices, that’s about 170kcal per slice. 3) Add wet ingredients to the dry ingredients, mix well. Put in a loaf tin, cook for 20 minutes at 200 degrees C.
Hi Sarah, I am a Nutritionist from Balbriggan and a client of mine send me the link for this bread. I thought you should know 😊 I’m also a Food Blogger and I’m so going to try your recipe! !